This 2-in-1 giveaway is a must-have for wine lovers! You can open your bottle of wine and seal it closed all with this one giveaway. This 2-in-1 giveaway is a compact corkscrew and a bottle stopper. 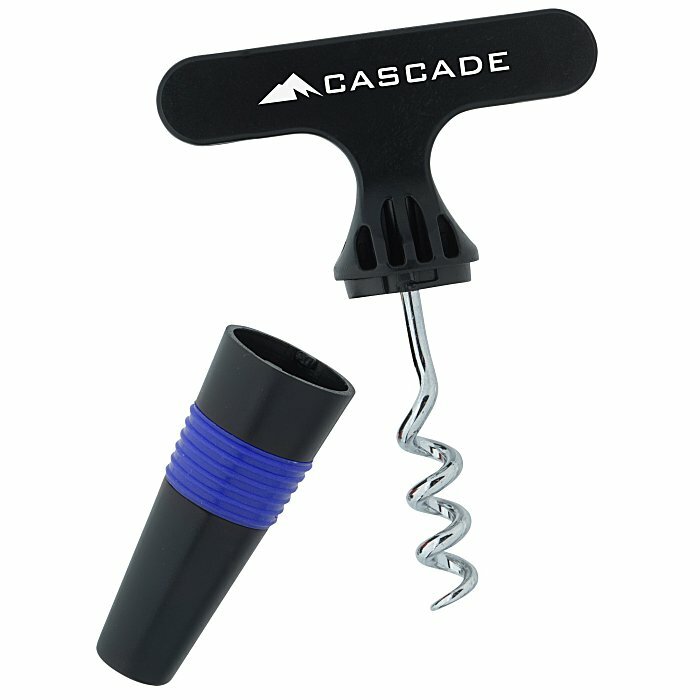 Corkscrew is conveniently stored inside the bottle stopper. This small bottle opener and stopper is super compact and easy to store anywhere. Perfect for vineyards, wine bars, wine-tasting parties, wineries and much more! Your price includes a one color imprint on the front, top of the stopper on the handle area. Set-up charge: add $55 for your first color/location; add $35 for each additional imprint color/location.